What Is the Purpose of the Cantilever Racking? This floor mounted cantilever racking is the solution for all your storage needs. It’s a versatile way to handle multiple lengths of goods and multiple types of goods. Mount this racking system to the floor of your warehouse, and you’ll have a storage area that can accommodate anything you need it to. Each arm has a capacity of upwards of 2000kgs. This means you can store entire packs of timber up off the floor and away from any potential hazard or disaster. 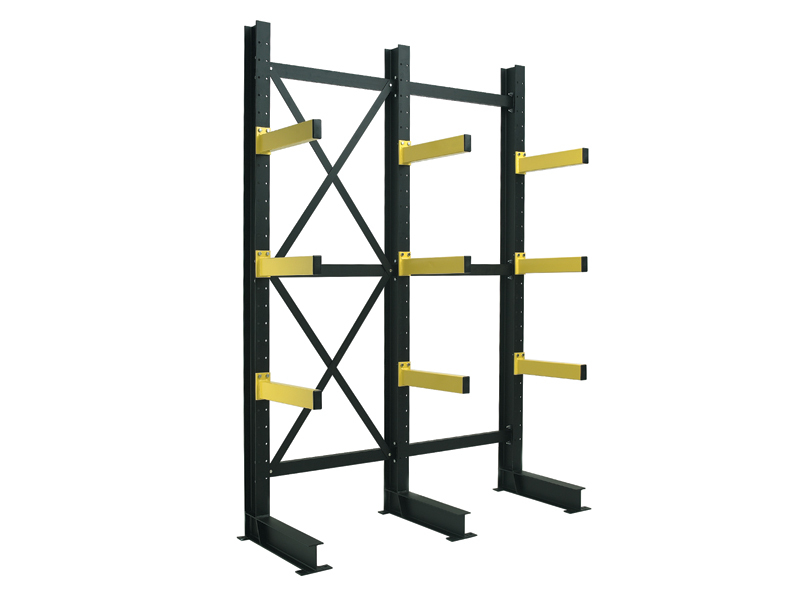 The benefit of using the cantilever racking system is that you can use it how you see fit. It makes your entire inventory available to forklift up and down with ease. The frame comes ready with floor fixings and shims for your security and protection. You can use this system both inside and out to save as much room as you need to run your company effectively. 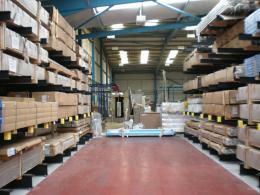 Get your stock in order with the cantilever racking system. You can choose between the options of light, medium and heavy duty to suit the type of goods you’ll be storing. This works in the warehouse with long and short items to store. 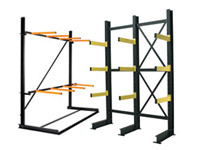 As the levels and arms are adjustable, you can use the racking as you see fit. You’ll find racking like this in lumber yards, kitchen renovation supply stores, plumbing supply stores, roofing sheds, electrical goods stores and warehouses all across the country. It’s just a simple solution to a problem every warehouse has. The racking is best used by the forklift driver wanting to clear room for their work. It’s suitable for shipping centres to manage their deliveries before they go on the trucks. It works great for lumber workers who can access a single piece of lumber or an entire pack should they need either. 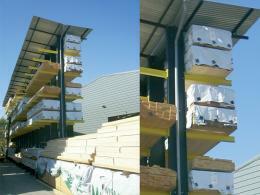 It’s great for customers in timber yards to select the wood they need to by seeing the entire length at glance. Arms have a capacity of up to 2000kgs of properly distributed weight. Floor fixings and shims included to secure the racking to the ground. Works in both inside and outside storage centres. Sturdy steel black uprights with bright, highly visible yellow arms. 1 year warranty on parts and labour and price matching are some of the features of choosing this product from The Workplace Depot.